Communities free and healed from the trauma of human trafficking, slavery, and abuse. For those affected by trauma and those who support them, Hagar is an expert in care and recovery. When healing happens, the cycle of trauma stops. Respect: We believe in the right of all people to be heard and treated with respect and dignity. Integrity: We commit to act ethically and honestly, striving to do the right thing at all times and in all circumstances. Compassion: We want compassion and kindness to be evident in our attitude, communication and in active, practical ways. Excellence: We hold ourselves to high standards, listening and learning from those we support, our partners and each other, to continuously improve all that we do. Hagar was founded in 1994 in response to the prevalence of extreme domestic and community violence affecting women and children in post-civil war Cambodia. In 2008, Hagar began operations in Afghanistan to support women and children facing the worst forms of gender-based violence and human trafficking. The following year, Hagar established an office in Vietnam to care for women who were affected by the growing magnitude of exploitation and abuse. More recently, Hagar began delivering programmes for women through our support office in Singapore, and we are partnering with organisations in Myanmar to increase their capacity to provide Trauma-Informed Care . With 25 years of experience, Hagar has transformed into an internationally renowned leader in recovery services for survivors of human trafficking, slavery and abuse. The Hebrew name Hagar means “one who flees” or “one who seeks refuge.” The story of Hagar and her son, Ishmael, is the story of millions of exploited, abused, and trafficked women and children. In around 2000 BC, Hagar worked in a foreign land as a domestic servant for a rich man called Abraham and his wife, Sarah. Sarah was unable to bear children and, following a common practice of the time, Sarah offered her servant to Abraham. When Hagar became pregnant, Sarah grew jealous and threw her out of their home. An angel found Hagar alone in the desert. He promised a blessing on her child, naming him Ishmael, which means “God hears.” In response Hagar declared: “You are the One who sees me.” The story of Hagar is known to many faiths including Christianity, Islam, and Judaism. Hagar is committed to providing sanctuary and hope to women and children like Hagar and Ishmael, walking the whole journey with each one. Phil has a strong grounding in the financial sector, which has formed the basis of a broad commercial business career. He is currently a professional director, chairman and investor, with interests in a range of industries such as construction, wholesale and distribution, horticulture and import/export. 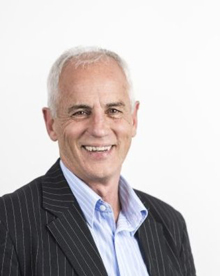 Phil’s passion for business development, combined with extensive senior management experience, allows him to successfully tailor governance, organisational capability, and strategic management solutions for Hagar’s operations. Phil’s passion for supporting charities is demonstrated in his numerous Chairman and Board commitments to Charitable Trusts. 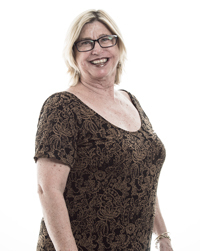 Micaela has worked in the not-for-profit sector for over 25 years. She has extensive experience leading organisations that provide specialist services to vulnerable and disadvantaged children, young people, and their families. An internationally recognised leader in the community sector, Micaela has held key leadership roles throughout her career. These include President of the Australian Council of Social Services and a range of government appointed roles to advise on child protection and broader social reform issues. In 2014, Micaela was awarded the Robyn Clark Memorial Award for service and leadership in the children, youth, and family services sector. Geetha has an extensive management experience with a background spanning finance, HR, operations, governance, and IT management. Following a successful career in the Australian Banking and Finance sector, which spanned over 16 years, Geetha transitioned to senior corporate services roles in the not-for-profit sector. She has also served in several board positions and is currently a board member of the Mandala Foundation. 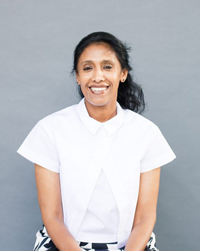 Geetha comes to Hagar with an impressive track record of driving sound operational and strategic business outcomes for the organisations she has worked for, including the ANZ Bank International Division, and NGOs working in aged care, children, youth, and family. Makara has more than 17 years’ experience in NGOs working with organisations including the United Nations Development Programme (UNDP), World Education International, and World Vision International. 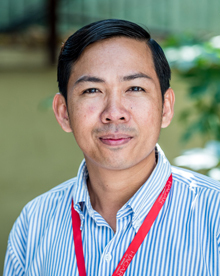 In his current role with Hagar, Makara works with staff globally to develop and implement best-practice programme management cycle and roll out the cloud-based Client Management System (CMS) to other Programme Offices after successfully piloted in Cambodia. Makara has experience in stakeholder relations including government and NGO partnerships (USAID, UN Trust Funds, SIDA, DFAT, and DFID) as well as donors in local, national, and international contexts. With 18 years living and working in Asia, Carol has fulfilled the roles of country director of international NGOs and independent regional consultant. Previously, Carol was Country Director of Save the Children Australia in Cambodia for almost 6 years before she established ChildFund Cambodia in 2007 on behalf of ChildFund Australia. Under her direction, ChildFund and Save the Children were awarded 6 medals by the Government of Cambodia in recognition of contributions in the development sector. After finishing her role with ChildFund, Carol provided consulting services for a diverse range of clients such as the Department of Foreign Affairs and Trade (Australia), UNICEF, OXFAM, The Asia Foundation, Save the Children International, and Child Helpline Cambodia. Carol relocated from Phnom Penh to Hanoi in 2017 to take up the role of Executive Director of Hagar in Vietnam. Jan has worked for 35 years in the NGO, Donor, Academic and Government sectors in Africa and Asia. Jan has a keen interest in Poverty Reduction Strategies, Child Protection, Socio-economic development, Livelihood and Safety net programming, Human Rights and Advocacy campaigns for the poor, marginalized and most vulnerable people in society with a strong gender lens. Advancing education opportunities and ensuring better access to health care for communities at risk is also an area of interest for Jan. He has worked in all of these sectors at community, policy and management level. Jan has had roles in South Africa, Namibia, Malawi, Uganda, Democratic Republic of the Congo, Kenya, Tanzania, Bangladesh and Singapore. Before joining Hagar in Afghanistan, Jan was the Regional Leader for World Vision in the South Asia and Pacific Region overseeing their work in ten countries in this vast region. Jan has written a number of academic papers and contributed to text books on social and human development. A Clinical Social Worker by profession holding a master’s degree in this field from the University of Pretoria, Jan also has qualifications in Commerce and Accounting as well as post graduate qualifications in Management. 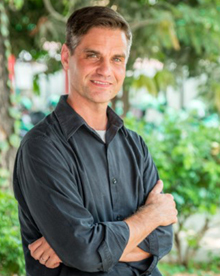 Michael joined Hagar Singapore as Executive Director in 2013, after spending more than 14 years serving in the international humanitarian sector. No stranger to global poverty issues and social injustice in the developing world, Michael brings extensive programme and executive experience having provided direct oversight to numerous global development projects in about 25 countries worldwide. Don has invested 23 years in humanitarian work and is deeply driven by the fact that he can help change the future for exploited and marginalised survivors of severe abuse. After a teaching career, Don became Territory Manager for the South Island for nearly 12 years with World Vision New Zealand. After this, Don took up a three-year appointment as Director of Children in Crisis with World Vision International Mongolia. 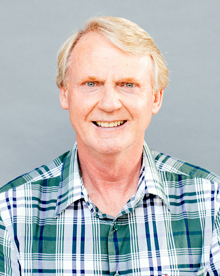 Don established Hagar New Zealand in 2008 and has been Executive Director since then. Mike brings 20 years’ social work experience in child and family protection, and mental health service provision to his role as Hagar USA’s Executive Director. He previously work for three years in the Hagar Cambodia program office, where he most recently served as the Executive Director. He and his family repatriated to the USA in mid-2017 to lead the Hagar USA office. Prior to moving to Cambodia in 2013, Mike served as an Associate Director of Performance Improvement in Ohio’s largest public child protection system from 2008-2013. He is very passionate about Hagar’s core work of ensuring human rights abuse survivors have access to high quality trauma recovery services. Mike brings 20 years’ social work experience in child and family protection, and mental health service provision to his role as Hagar USA’s Executive Director. He previously worked for three years in the Hagar Cambodia program office, where he most recently served as the Executive Director. He and his family repatriated to the USA in mid-2017 to lead the Hagar USA office. 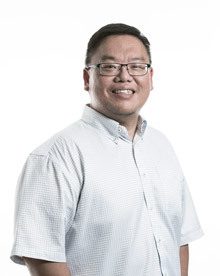 Prior to moving to Cambodia in 2013, Mike served as an Associate Director of Performance Improvement in Ohio’s largest public child protection system from 2008-2013. He is very passionate about Hagar’s core work of ensuring human rights abuse survivors have access to high quality trauma recovery services. Melissa has worked in public service and international development over the past 15 years, including more than ten years in Asia. Melissa established Hagar Hong Kong in 2013 and has been the Executive Director since then. 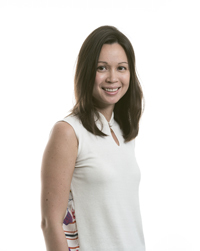 Previously, Melissa was the Industry and Corporate Relations Manager for the American Chamber of Commerce in Singapore, and also spent three years working in Bangkok at the United Nations Inter-Agency Project on Human Trafficking in the Greater Mekong Sub-region. She holds a Master of Public Administration degree in International Public and Nonprofit Management and Policy from New York University, and a Bachelor of Science degree in Foreign Service from Georgetown University. Jo is a member of the Australian Government’s Roundtable on Human Trafficking and Slavery, and also sits on the Board of AMES Australia, an organisation which helps newly arrived migrants and refugees settle in Australia. These leadership roles build on more than a decade working in international development and human rights, including as Head of Policy and Advocacy at Oxfam Australia. Past roles have given Jo opportunities to work with some inspirational public figures, including as an adviser to former Senator Natasha Stott Despoja in the Australian Parliament, and as an Associate to the Honourable Justice Margaret Nyland in the Supreme Court of South Australia. 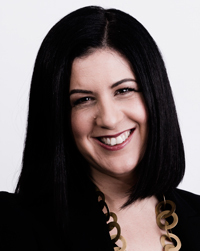 A former lawyer, Jo has received academic awards for constitutional law and her Honours thesis.